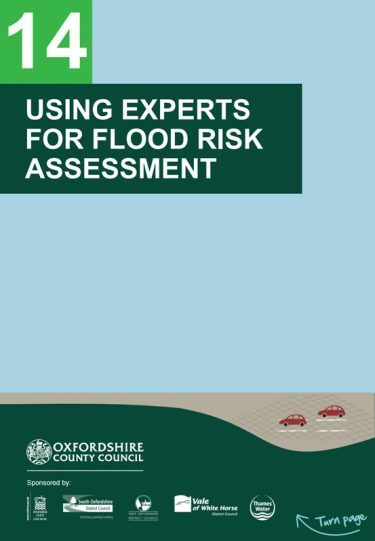 The Community Flood Risk Report is an outline report for the community that summarises the level of risk of flooding to the community. 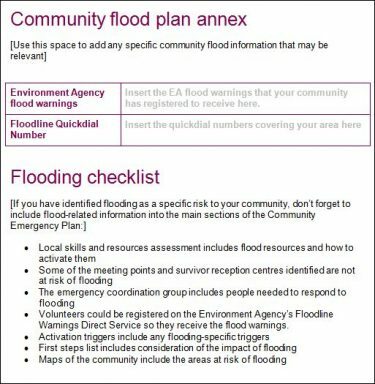 It is a useful tool for the community to start engagement and to raise awareness within the community of its level of risk, and should also be used to feed into a Community Flood Plan. 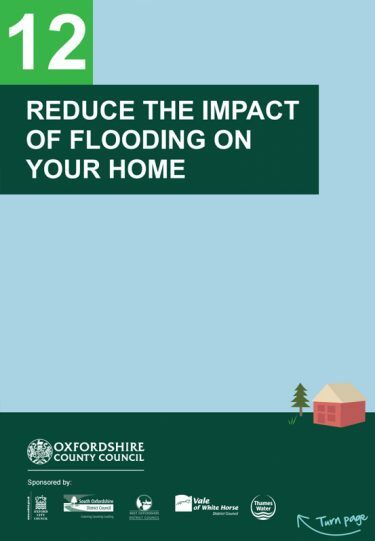 The Oxfordshire County Council Emergency Planning Unit can support your community with advice on Flood Risk Reports and preparing for emergencies. Email us at emergencyplanning@oxfordshire.gov.uk. It is a good idea to hold a local meeting of residents to make the community aware of any potential flood risk, to provide an opportunity for concerns to be discussed and an action plan to be developed. Local people are the experts and are aware of what happens in their particular community when heavy rainfall occurs. Any historic flood information that is collected at the event would be helpful to Oxfordshire County Council, therefore please send any records to floodingincidents@oxfordshire.gov.uk. It is recommended that you invite the Environment Agency, your local District Council, the County Council, Oxfordshire Highways and Thames Water to the event to be on hand to answer any technical questions. If you are inviting Agency or Authority staff you will need to find a time to suit all and provide as much notice as possible – ideally up to six weeks. To ensure that your community awareness event is accessible to all, it is recommended that you hold the same event at different times of the day, on different days (including at the weekend) to ensure that as many people can attend as possible. A Community Emergency Plan is a tool you can use to help the community prepare for the emergencies that could affect your community. The Plan should be undertaken by the community and informed by the Community Flood Risk Report and Community Flood Risk and Mitigation Investigation. Download our Community Emergency Plan Guide and Community Flood Plan Template to the right. Households who are aware that they are in an area at risk of flooding should also have a Household Emergency Plan to set out the best emergency actions. It should include who does what when flooding is forecast and emergency contact numbers. To ensure that you are prepared you should also have an emergency grab bag ready. 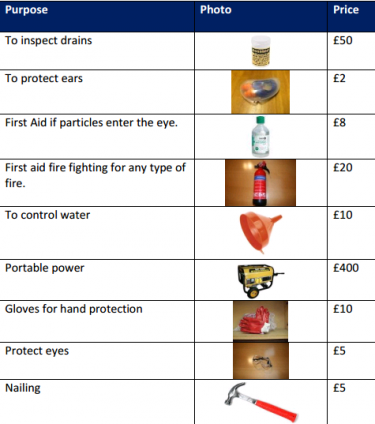 Our Household Emergency Plan Template can be downloaded to the right. If there is no suitable storage unit already in your community, you may need to purchase a container to house the equipment. Bear in mind that, dependent on the container’s size, it may need planning permission, so check with your Local Authority before purchasing. Ensure at least two people can access the store who are responsible and reliable. It can be a good idea to ensure that the individual’s home is not at a high risk of flooding, otherwise they may need to concentrate on protecting their own home. The level of the threshold – If your community has already experienced flooding, you may know what level of rain is likely to raise a concern about potential flooding. If not we may be able to provide historic data to help set a level you are comfortable with. Who will receive the alert and how they might respond – While it is useful for many people in the community to receive the warning, it is best for one dedicated, trusted and reliable individual in the community to be able to manage the response. It would be very useful if you could let us know if you are considering installing one in your community, as we may be able to assist you in setting your threshold level. 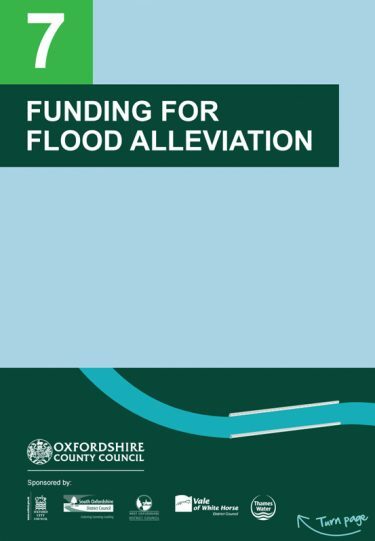 Please contact floodmanagement@oxfordshire.gov.uk. If your property is shown on our flood risk maps to be in an area potentially at risk of flooding, you should consider whether flood protection or mitigation measures to the property would be appropriate. Property level surveys should establish facts such as the level of thresholds and floors, the likely points of water entry, whether attempts should be made to keep water out of your home or just to allow the water in and enhance the building in such a way as to limit the damage and promote rapid clean up. Measures could include simple units you can fit yourself, such as covers for air bricks and vents, bungs for drains and standalone barriers for doors. Recommendations may also be made for more significant works such as replacing carpets with waterproof coverings, raising electricity sockets, and fitting permanent flood-proof doors or barriers. Communities can encourage their local primary school to include the activities from the Flood Aware Schools Pack into their local curriculum. Schools could also look to undertake their own flood resilience measures such as saving rain water from the roof in water butts to use on the school garden, creating a rain garden and planting trees: all of which helping to get children more involved in flood awareness and educate them on what can be done to help reduce the impact of flooding. However, as most things do, these products will more than likely require some funding! With a whole host of different organisations and funding sources out there for different reasons and types of projects, you can often hit a hurdle just trying to find out which one to apply for. To make this job easier, we have created a five step question and answer Funding Tool which can provide you with an idea of what funding sources are out there! 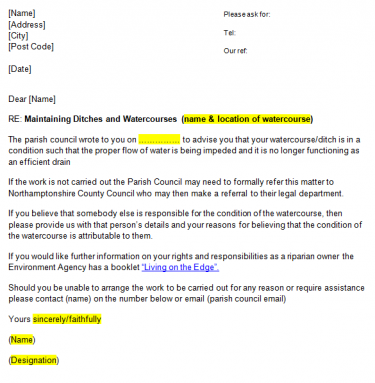 Oxfordshire County Council often approaches landowners to request them to clear overgrown and blocked ditches and watercourses where there is a risk of flooding. However, as there is an extensive network of watercourses and ditches in the county, it has been found that Parish and Town Councils have in many cases been successfully able to provide valuable assistance in identifying and helping to resolve these issues by working with us to help reduce the risk of flooding in their communities. As part of the partnership working initiative that we are trying to encourage, we would request that Parish and Town Councils become more involved in the early stages of discussions and negotiations when it comes to flood risk matters. Using their local knowledge and contacts to make the initial informal approaches to landowners to undertake clearance of their ditches, watercourse, pipes or drains etc. can be extremely helpful. 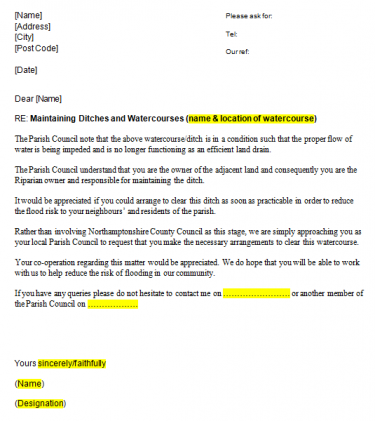 An informal approach by (telephone or email) from a parish or town council representative is made asking a landowner to clear ditches and watercourses. Should you encounter any problems the Oxfordshire County Council Flood and Water Management Team can be contacted at floodmanagement@oxfordshire.gov.uk, who can then prioritise any further action as appropriate. Where the flooding is from a main river this matter should be referred to the Environment Agency who can be contacted through our Who is responsible page.